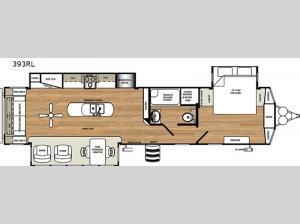 Been daydreaming about owning a destination trailer but not sure where you will place it? After looking at this Sandpiper model you will be looking for the perfect spot to settle down! Imagine the views out the 60" dual pane patio door and extra large windows throughout when you are relaxing inside. You can probably envision making meals for everyone in the spacious kitchen and living area which includes an island with pendant lights, a ceiling fan, a free standing dinette, plus additional seating and all the appliances needed to make your favorite meals when you don't go into town to eat. Take a look, you will be sold!